With a rapidly increasing number of businesses moving into the cloud, cloud-based solutions is certainly one of the most significant IT trends. The energy sector is beginning to follow suit. The cloud indeed offers tremendous benefits for utilities but also poses new risks and subjects them even more regulatory demands. The energy sector is on the brink of a radical digital transformation. Smart meters are being deployed on a massive scale, the grid is becoming increasingly reliant on sensor technology, and cloud-based services are becoming widespread. IT development rewards utilities with huge efficiency gains not previously possible. But it doesn’t come without it’s challenges. When moving to the cloud, utilities should pay particular attention to security requirements. Simply explained, a cloud solution is a scalable service that allows you to store, process, and extract data via the Internet. Microsoft describes it as the delivery of computing services – servers, storage, databases, networking, software, analytics – over the Internet. Cloud-based IT platforms have great time, cost and flexibility advantages. Cloud solutions enable businesses to build scalable bandwidth, storage capacity, and processing power services. Cloud services give users access to services no matter their location. Cloud services can also trigger great cost savings compared to traditional on-premise IT solutions as you only pay for the actual processing power and information storage you require. Increased flexibility: As sustainable energy technologies and IoT solutions becomes widespread, utilities can use the cloud to integrate a variety of technologies and workloads. Furthermore, the cloud allows utilities to centralize asset monitoring and improve organization-wide, real-time communications. Big data capabilities: The cloud offers inexpensive storage options and can handle a wide variety of data types from multiple sources. An essential benefit considering the increasing number of deployed smart meters and online tools as well as the need to store, compile and correlate the data these devices and technologies generate. Advanced analytics: For data to add value, it must be turned into insight. Cloud technology allows utilities to use advanced analytics capabilities to monitor asset health and enable predictive maintenance, streamline operations, and lower operating costs. Powerful cloud-based analytics tools can also assist with load balancing and demand forecasting to optimize grid efficiency. These benefits haven’t gone unnoticed by the utility sector. 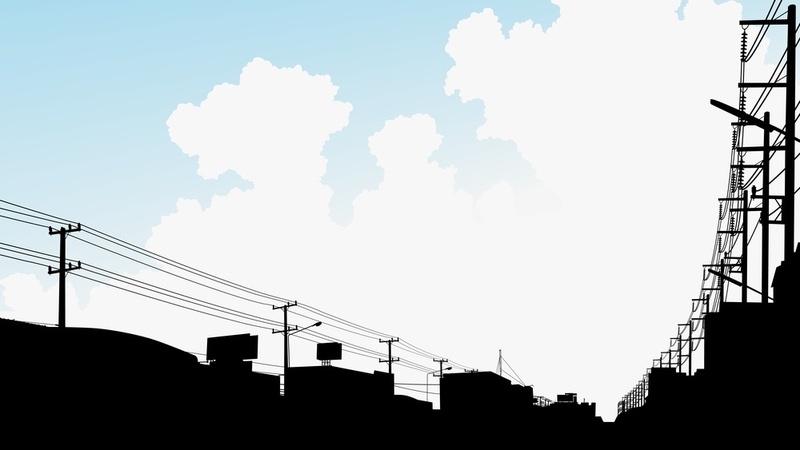 A near majority of utilities are already leveraging the opportunities inherent in the cloud. According to one survey, 45 percent are already in the cloud and 52 percent plan to move to the cloud. One example is the public power-owned non-profit corporation The Energy Authority (TEA). TEA provides public power utilities with access to advanced resources and technology systems so they can respond competitively in changing energy markets. To do this, they recently launched the service TEA Connected Analytics, which is powered by the cloud-based Microsoft Azure system, to help their clients maximize the value of their assets by reducing operating costs, lowering capital expenditures, and improving retail customer satisfaction. Although the benefits are significant, moving to the cloud also introduces new risks. Storing information in the cloud may lead to data stored outside a utility’s national borders and transferred through infrastructure in another country. If data is improperly secured, critical data may fall outside a utility’s control. Security: Utilities store and maintain large volumes of sensitive data. Unauthorized access to this data could impact customers, companies, and governments alike. Cloud solutions that fail to implement strict security standards may leave themselves exposed to attacks that can compromise critical infrastructure and SCADA data. Utilities, then, need safe cloud-based applications that don’t increase vulnerability to attacks. Sovereignty: How and where data must be stored and used, is governed by regional and national regulations. If a cloud solution prevents a utility from maintaining full control of their data, the utility is also unable to adhere to these regulations. Compliance: Customer, industry, and government regulations also impact how utilities store and use information. If a cloud provider fails to meet these regulatory requirements, a utility’s compliance will be put at risk. As the cloud moves data between individuals, endpoints, and across the globe, new security requirements are necessary to both keep data safe and ensure data stays compliant. Most likely, there are state, national, or international laws you’ll have to consider to ensure you’re in legal compliance. As Microsoft points out, if you’re based in the US, Canada, or the EU you’re subject to numerous regulatory requirements. These regulations and laws might relate to where data is stored or transferred, as well as to how data confidentiality is protected. An important challenge to keep in mind is that the legal and regulatory landscape around cloud computing is ever-changing. New laws are regularly proposed, and regulatory guidelines are frequently revised. A significant challenge with data sovereignty is that each country has its own data sovereignty rules and laws, as one Forbes article points out. As Forbes recommends, you should ask your cloud provider during the initial conversation about data sovereignty rules and regulations. The digitalization of the energy sector indeed holds the promise of more efficient infrastructure operation. However, it’s critical that utilities do their homework and understand the risks that follow from an increased use of technology throughout the value chain – including cloud-based services. Before moving your entire IT platform to the cloud, you should carefully consider the risks cloud services introduce to your organization, what regulatory demands and rules you’re subject to, and investigate the routines, documentation, and agreements you need. Doing so, moving to the cloud becomes a safe endeavor and you are far more likely keep your data secure, stay compliant, and keep your regulator happy. 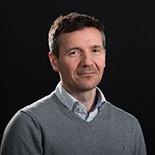 Erik is CTO at eSmart Systems and has 20 years of experience in software development within the energy space, mainly using Microsoft and Oracle technologies. The last four years he has been focusing on architecture and design of Big Data technologies, all on the Microsoft Azure platform. In 2017 Erik was nominated Microsoft Reginal Director – Norway. This is a program that consists of 150 of the world's top technology visionaries chosen specifically for their proven cross-platform expertise, community leadership, and commitment to business results, and therefore nominated as trusted advisor to the developer and IT professional audiences and Microsoft.